Genuine gemstones come in an ever expanding range of unusual shapes and varying sizes. As I find new shapes to play with I will add to the ideas on this page. Here are just a few simple ideas to get started with. 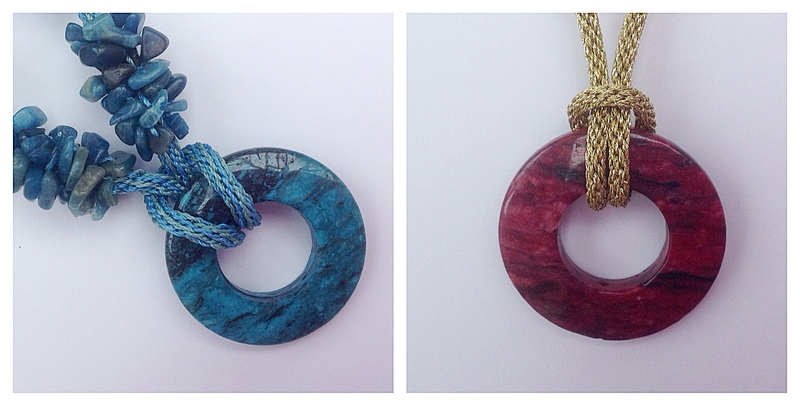 Simply use a lark’s head knot to attach a gemstone ring or donut. Either make a plain braid or leave a gap in the middle of a beaded braid to accommodate the focal. 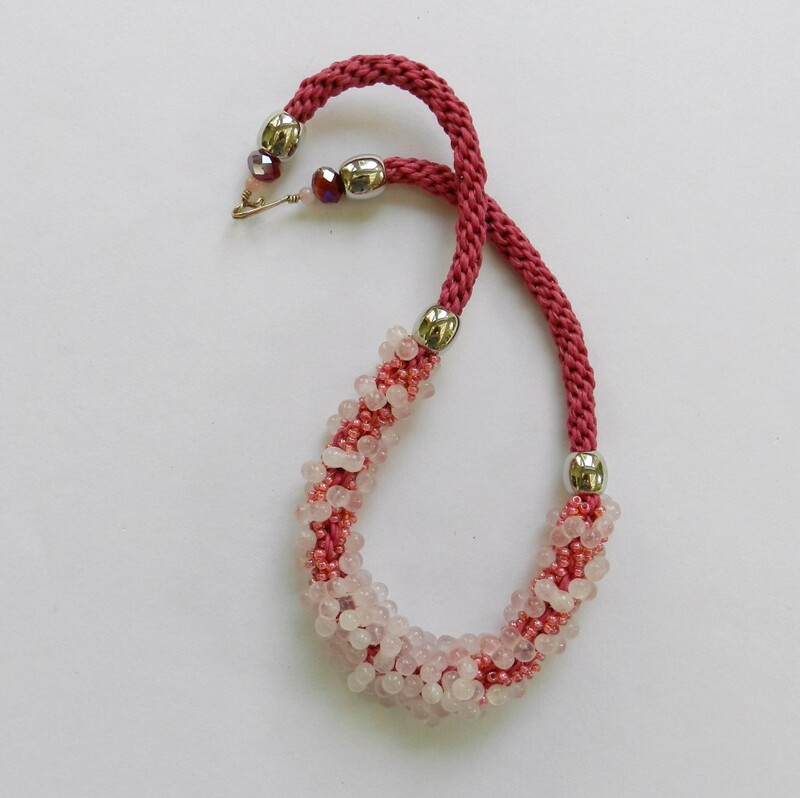 The bubbly effect in this necklace is caused by rose quartz peanut beads. They are also known as bow ties or dog bones, but whatever the name the shape is similar! Kumihimo makes the perfect partner for a pendant. 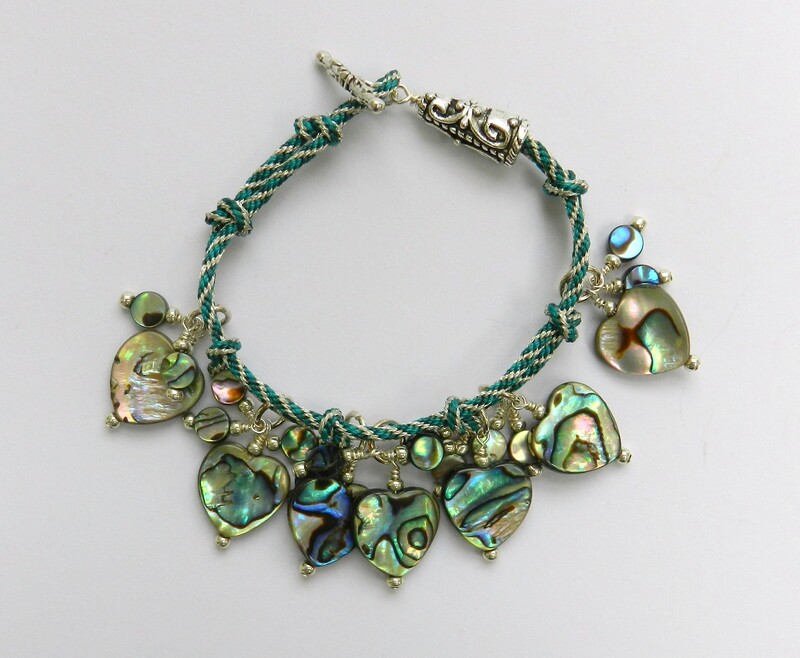 The colours of the gemstones can be enhanced or contrasted with a custom made braid. 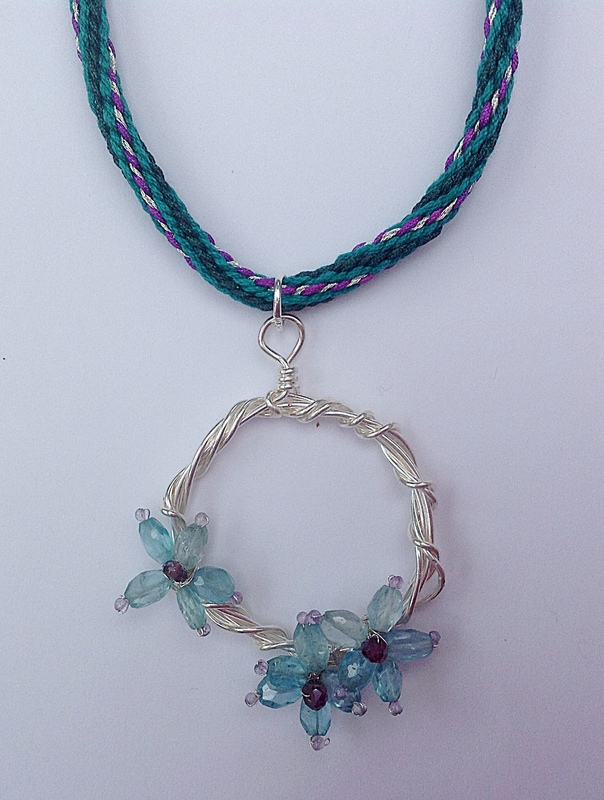 The softness of the braid works well with gemstones, with or without wirework, and it is an economical alternative to a chain. In this example the delicate gemstones have tiny holes and only very fine wire could go through them. Wiring them into flower shapes and onto a frame is the easiest way of using stones like this. This tutorial is perfect to make a statement with shaped gemstones. 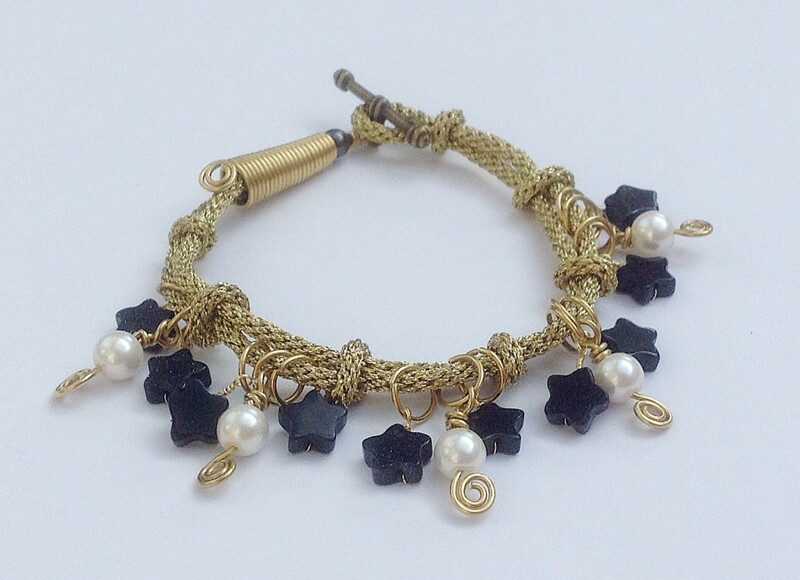 It is an unusual twist on the classic charm bracelet. Full explanation is given on how to make gemstones and beads into charms, including those with very small holes. The tutorial can be purchased by clicking here.